In 1813 David Thompson created a chart approximately ten feet by six and a half feet tall, Map of the North West Territory of the Province of Canada. 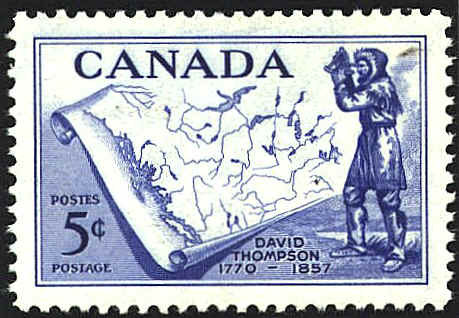 This is not the map that appears on the stamp honoring David Thompson. It is a fictionalized map of the general area.